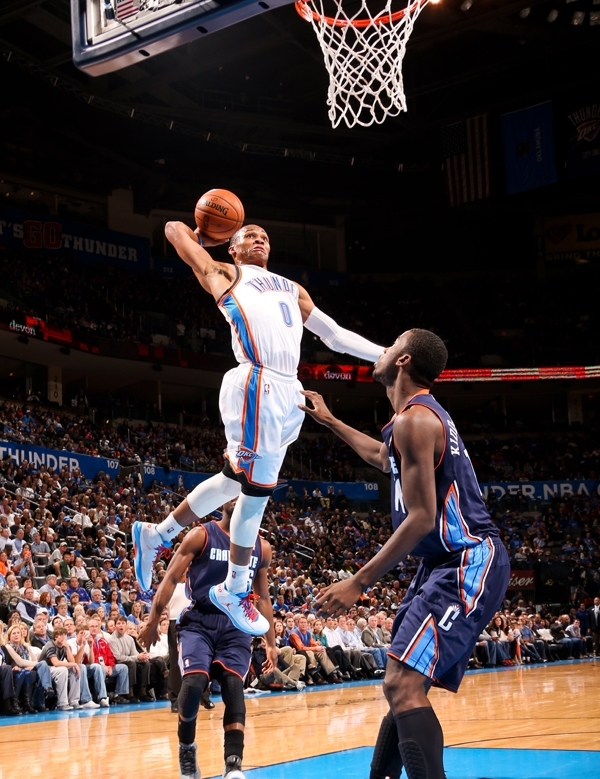 Coming off of a rousing performance in Madison Square Garden on Christmas, the Oklahoma City Thunder look to keep things going as they travel to Charlotte to take on the Bobcats. In that Knicks games, Russell Westbrook secured a triple double by the middle of the third quarter and Kevin Durant and Serge Ibaka combined for 53 points on 20/30 shooting. The bench played spectacularly and kept their foot on the pedal for all of the 4th quarter. Of course, the Thunder were aided by the fact that Carmelo Anthony and Raymond Felton were out because of injury. 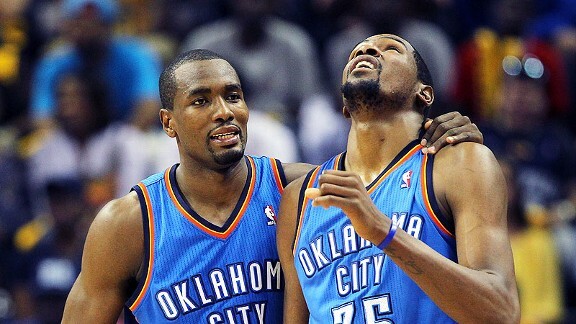 The Thunder won the season series against the Bobcats last season 2-0. The most memorable of those games was the one played in Oklahoma City, where Charlotte came into the game with a 7-5 record and a little bit of a puffed up chest. The Thunder proceeded to take a 40 point lead into halftime and tacked on 5 more points by the end of the game. The loss was so severe that Charlotte didn’t win another game for over a month. The Thunder have won 5 straight meetings between the two teams encompassing the last 3 seasons. In the midst of all the carnage that is the Eastern Conference, it’s good to know that one of the teams with a losing record is actually improving from last season. Charlotte didn’t win their 14th game last season until March 12th, but already stand at 14-15 this season. The defense is much improved under new head coach Steve Clifford, and the team is finding ways to win close games. They’re the 2nd worst scoring team in the league, at 92.4 points per game, but combat that by being the 3rd best at opponent’s points per game, at 93.6. The Bobcats’ offense is initiated, and usually, finished by PG Kemba Walker. Joining him in the back court is Gerald Henderson, who is quietly one of the better 2-way guards in the Eastern Conference. Up front, free agent acquisition Al Jefferson has paid dividends, almost averaging a double double with averages of 16.7 points and 9.6 rebounds. Their bench depth has been decimated by injuries lately, with Jeff Taylor going down with an Achilles tear and Michael Kidd-Gilchrist still recovering from a broken hand. EDIT: Russell Westbrook had arthroscopic knee surgery and will be out for 6-8 weeks. 1. Force the issue – The Bobcats have depth issues due to injuries. Drive the ball inside and try to force fouls. The more fouls you force, the more the chances that someone like Jeff Adrien or Jannero Pargo will have to minutes. 2. Perimeter defense – Al Jefferson will do what he does. The key will be not completely collapsing on him and giving streak shooters like Walker and Ben Gordon the opportunity to heat up. 3. Small ball – We usually react to teams and play small ball in response to their line-up. I think this would be a good game to force the Bobcats to play small ball. A line-up where Jefferson and McRoberts would have to keep up with Ibaka and Durant would be wonderful for transition opportunities.